Roku announced the launch of 2 new devices this week; the Roku SD and the Roku HD-XR. 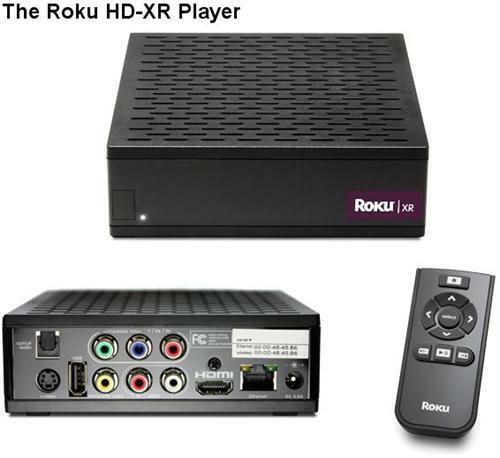 The former all-by-itself model, which was previously known as just the Roku player, is now known as the Roku HD. The Roku SD is actually a downgrade, featuring Standard Definition picture quality. That’s not necessarily a bad thing, as this model is designed to appeal to consumers who lack a high definition TV. To that end, the Roku SD also weighs in at a lower price point, at a mere $79.99. So what’s up with the Roku HD-XR? Well, the unit comes packed with a networking upgrade, sporting an 802.11n wireless antenna (in addition to support for wireless b/g). That’s the major difference, including a price-tag bump up to $129.99. The wireless n support should ensure that you have no issues streaming 720p content to your Roku player. Another intriguing aspect of the Roku HD-XR is the inclusion of a USB port for “future use”. Roku wouldn’t elaborate on what that might be, but it could lead to some cool new features in the future. The “Roku Channel Store” is also launching soon, expanding the content offerings of the devices (which currently supports Netflix instant viewing, Amazon Video on Demand and MLB TV). I’m particularly excited about this, as I’d love to see more and more content accessible from Roku boxes. For one, you can expect to see support added for the TWiT podcasting network soon, as one of their recent shows has mentioned. To read our take on the Roku player, check out our review here.